No matter what time of year it is- nothing defines a good gathering better than a BBQ party. Chilling with your friends in your backyard while the soothing smell of delicious BBQ dishes seep in to your nostril; the experience is incomparable. If you want to host such a BBQ party or simply make BBQ for yourself- it is essential that you first have all the required accessories. There are tons of accessories available in the market – so choosing the necessary ones can be hectic. But don’t worry! In this article I have gathered the 12 must-have BBQ smoker accessories so that you could buy them with ease and have a wonderful time at your very own BBQ party. Without further ado let us start the list. If you have ever made BBQ food – you probably know that one of the most annoying things about them is that you must scrape the bits of food that fall in to the flame or inside the grill. This is very hectic and also risky because you may injure yourself when you are too close to the charcoal flame. To avoid this, you can buy a grill basket- this is basically a basket that prevents scrapes of food from entering the unwanted parts of the grill. This simple accessory will make sure that your food stays at place during the time of grilling and no extra cleaning is required. You simply place it above any sort of grill and your job will be done! Although there are many good grill baskets available in the market- I personally prefer the Grillux Grill Basket. You can find great deals on Amazon for this grill basket. It is made with heavy duty stainless steel. The curved handles make sure that moving it around is not cumbersome. Now, when you hear about grill, this accessory for the first time, you may think that it is not that necessary. That may be true if and only if you are a professional chef, otherwise, you need it! What the wireless meat thermometer does is that it tells you the temperature of the food that you have placed on the grill. For this accessory we have chosen the Thermo Pro TP-09. It has a 6.5-inch stainless steel probe. You also get a rubber sleeve case with it. This is an accessory that is not used commonly and many might argue that using it is pointless. You will, however, be surprised how helpful it proves to be in the long run! What it does is simple- it notifies you when you run low on propane gas so that you can fill it up again. It’s a simple task- and to clear some of your misconception, it certainly doesn’t add propane to your cylinder- yeah! Sorry to pop your bubble. Having a reliable propane gas level indicator will make sure that your gas tank doesn’t run empty on crucial moments. For example: when you are on the verge of making the perfect BBQ! Using it is very simple. However, you may require a bit of getting used to it. The main feature that makes BBQ gloves different from other gloves is the fire resistance feature. This is one of the most important BBQ accessories and yet people choose to avoid. BBQ gloves is primarily a safety device but it also allows you to handle your food effectively which in turn results in a delicious meal. BBQ gloves are quintessential if you want to minimize BBQ related injuries! Use all your fingers at once to avoid spills. We have chosen OZERO Leather Welding BBQ Grill Gloves. This is probably the best gloves at it’s given price. Position your chimney over this ball of paper towels. For this category – BBQ Dragon Chimney of Insanity Charcoal Starter is a terrific choice! Eco-friendly as it doesn’t require lighter fluids normally. We often spent a huge amount of money buying the most expensive grills to have an optimum grilling experience but how often do we invest to keep it clean. The truth is no one probably gives this matter that much importance. In reality- keeping your grill clean is an integral part of making a good meal. Using a grill steel brush is simple just make sure you don’t burn yourself while cleaning! We have chosen Kona Safe/Clean Grill Brush due to its high quality at a very competitive price. Gives you a bristle-free cleaning experience. You probably had no idea that this even existed! But it does, and this makes a huge difference to your BBQ experience. When grilling during the daytime, using this is not exactly required. However, for the BBQ parties that take place during the night time- this accessory is essential! Its main purpose is illuminating the surrounding of the grill so that you can cook better and avoid accidents. You don’t need to be an expert to use this! For this category, we have chosen MARNUR BBQ Grill Light LED Barbecue Grill Lighting. Can be rotated 360 degrees. If you have grilled before, you probably know the fact that different types of food require different tools for them to be handled. For example, some food may require spatula for them to be handled, whereas some require tongs. A variety of tools are required to tackle all sorts of BBQ food. Buying individual tools can be hectic but do not worry as you can buy a multifunctional tool that will do all your job. For this category, we have chosen Stingray 7 in 1 BBQ Tool. We have chosen Cave tools bear claws for pulled pork. Unlike the previously mentioned bear claws, this accessory has a very non-violent purpose. Hammering your food before BBQ may sound hectic but you’ll be amazed how great it improves your food. The extra juiciness is all result of a meat softener. A certain set of instructions must be followed when using a meat softener. We have chosen Ace Select Meat Tenderizer for this category. We have chosen BarrelQ 183-245.018 Big 2018 Oil Barrel Grill for this category. This is the smaller version of your average grill and although it may not be an accessory because of its mobility factor we couldn’t just leave it out of the list. Having a BBQ party at various locations is surely a unique feeling and this grill makes it possible. Using it is simple. We prefer Coleman RoadTrip LXX Grill for this category. The list that I just discussed contains all the necessary equipment that you will need to have the best BBQ experience. However, you do need some great recipes. You should definitely try working with the 10 best recipes out there. 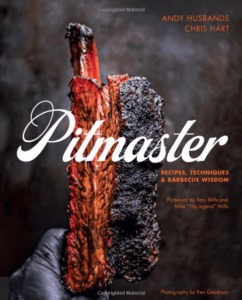 What Can We Learn From These Top Pitmasters?